New York, NY – Parents interested in having a say in local government could have free child care provided by the city under proposed legislation by Council Member Ben Kallos. The legislation was announced today in honor of the United Nations Women's founding of HeForShe and launch of IMPACT 10x10x10 Parity. It was inspired by a move to provide childcare at conferences in academia, civic technology, and by NYC Community Education Council 2. Countless parents have found childcare to be a challenge to their professional careers, not to mention civic engagement. Upper East Side, NY – 40 more 4-year-olds will have free pre-kindergarten seats on the Upper East Side starting with today’s first day of school. 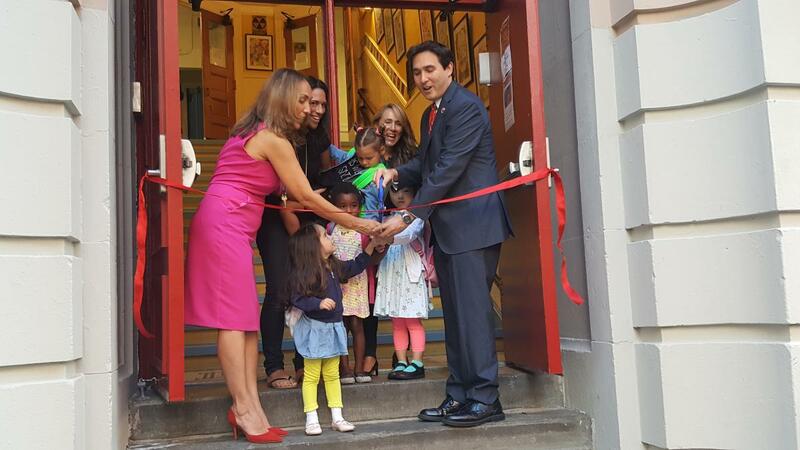 Council Member Ben Kallos joined Principal Doreen Esposito to cut the ribbon on the 40 new pre-kindergarten seats at P.S. 290, The Manhattan New School on 82nd Street between 1st and 2nd Avenues. NEW YORK — Schools Chancellor Carmen Fariña, City Council Speaker Melissa Mark-Viverito and Public Advocate Letitia James today announced that lunch is now free for every student at every public school across New York City. Free School Lunch for All will provide over 200,000 more students with free lunch starting this school year. Last school year, 75% of students were eligible for free lunch and starting this school year, 100% of families will be eligible to receive free lunch. New York City has sought all forms of funding for meal reimbursement and is now eligible to receive the highest reimbursement from the federal government through the Community Eligibility Provision (CEP). This federal program allows school districts to provide meals free of charge to all enrolled students. The Free School Lunch for All initiative will benefit all families regardless of where they live or attend school. It is time to stop throwing good money after bad and the city over a billion dollars for garbage dumps that appear to be more symbolic than functional. Yesterday’s lawsuit against a company owned by Jared Kushner highlights the City of New York's obligation to ensure tenants are not being cheated by unscrupulous landlords. The allegations are yet more proof of a broken system that allows landlords to charge tenants more than they are legally allowed. After exhaustive research by ProPublica, it is estimated that 50,000-200,000 units in New York City may be illegally rented at market rate. This issue is one of the most serious problems in our fight for affordable housing and why I authored Introduction 1015. Introduction 1015 requires all owners of any affordable units in New York City to register those units with the Department of Housing Preservation and Development (HPD) and disclose the monthly rent. That allows the City to track the locations of these units and verify they are being rented at or below the legally allowable rate and fine bad landlords who flout the law. While State law requires landlords to register with the Division of Housing and Community Renewal, the penalties for non-compliance were removed in 1993. It is a law without teeth, unable to force or persuade landlords to comply. I applaud Housing Rights Initiative for their thorough research into these properties. But it should not have taken over a month of painstaking efforts to find this information. It should be as easy as going to HPD’s website. More importantly, the City should be doing this proactively. New York, NY – Council Member Ben Kallos Vice Chair of the caucus was the prime sponsor of Int. 930 and 931 which aim to correct the behavior of landlords and building owners that neither fix reoccurring problems on their properties nor pay the fines that go along with those violations, putting tenants in unsafe conditions sometimes for years on end. The Stand For Tenant Safety (STS) legislative package will offer greater protection for tenants, especially in regards to the use of construction as harassment by landlords. STS was pushed by a citywide alliance of grassroots tenant organizations and legal service groups collaborating with the Progressive Caucus. "Believe it or not, construction being used to harass and push tenants out is a huge problem in New York City. This package of legislation aims to fix the behavior of unscrupulous landlords who cut corners, neglect repairs and take advantage of loopholes to hurt tenants and avoid paying fines. Thank you to the coalition of tenant organizations and legal service groups that worked for two years to get these bills passed, “said Council Member Ben Kallos Vice chair of the Progressive Caucus. New York, NY – Upper East Side bus riders may have noticed something new on their rides, bus countdown clocks showing when the next bus is coming. The bus countdown clocks were actually voted for by local residents in Participatory Budgeting and are a part of Council Member Ben Kallos’ fight against service cuts to the M31, M66, M72, and other bus routes in the neighborhood. The bus countdown clocks were three years in the making. In 2014, Rider’s Alliance advocated for bus countdown clocks in the city’s capital budget, but was met with some skepticism by Council Member Ben Kallos, who agreed to add the bus countdown clocks to Participatory Budgeting where residents voted on how to spend one million dollars in the community. Today’s decision by the New York State Board of Elections is a shameful capitulation to the President’s fear mongering about voter fraud. Allegations of widespread voter fraud have repeatedly been disproven and there exists no evidence to suggest it occurred in last November’s election or any election. The President’s sham commission is nothing more than yet another Republican attempt to restrict voting rights and only serves to perpetuate dangerous myths and spread doubt about our democratic process. That the commissioners of the State Board of Elections would assist such a commission casts doubt on their integrity and their commitment to protecting the personal data of New York’s 12.5 million voters. NEW YORK—Following the failure of Senate Republicans’ proposals to repeal and replace the Affordable Care Act, Congresswoman Carolyn B. Maloney (NY-12) hosted a roundtable at NYC Health + Hospitals/Bellevue with healthcare professionals, patient advocates, and concerned constituents to discuss the future of the health care law. The group focused on steps forward, strategies for strengthening the ACA, and ways to combat Administration efforts to undermine the landmark legislation. "The Affordable Care Act has helped millions of Americans get the health insurance they need to live healthy lives," said Council Member Ben Kallos. "When Congress passed the ACA many amendments were necessary to pass this historic legislation, but now is the time to revisit those amendments and make it even stronger. Thank you to Congress Member Carolyn Maloney for leading the charge on protecting and improving the Affordable Care Act." NEW YORK—The Mayor’s Office of Data Analytics and the Department of Information Technology and Telecommunications today released the annual update to the NYC Open Data Plan, a schedule of public datasets City agencies plan to release through 2018. Over the last year, agencies have released datasets across hundreds of categories, from the number of trees planted to FDNY incident dispatch numbers. The annual update is part of Open Data for All, a strategic overhaul around how the City collects and reports data to New Yorkers, with a focus on helping as many New Yorkers as possible view, understand, and engage with information that describes how government is helping them live, work, and play. "Open Data empowers residents with data they need to learn about city services first hand and is an invaluable tool for elected officials like me to analyze and oversee how our city delivers services,” said Council Member Ben Kallos. “In particular, I’m excited to see the inclusion of the Programs and Benefits API. Residents can now get the help they need from a list of benefits available, who qualifies and how to apply. Thank you to Mayor de Blasio and DoITT Commissioner Anne Roest for continuing to make New York City more transparent with each new data set." 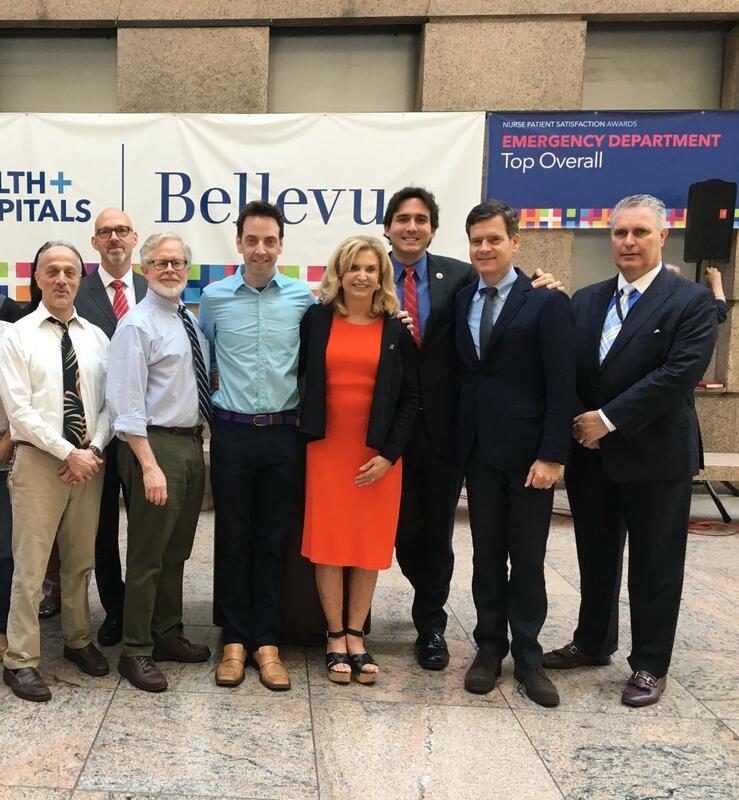 "We are breaking ground on a new East River Esplanade that was literally crumbling into the river after generations of neglect," said Council Member Ben Kallos, who advocated for the $41 million in the City's budget for this work and co-chairs the East River Esplanade Task Force with Congress Member Carolyn Maloney. "Having already secured this funding, we were able to get shovels in the ground soon after the sea wall collapse occurred here at Carl Schurz Park. This investment spans two Council Districts to fix various collapses and sinkholes between 63rd and 125th Streets. Thank you to Mayor de Blasio for agreeing to provide $35 million in initial funding for the Esplanade, the Parks Department for getting these repairs started in time to address the recent collapse, and Congress Member Carolyn Maloney for prioritizing our waterfronts and her longstanding co-leadership of the East River Esplanade Task Force." "As an elected official, it's in my job description to stand with my constituents -- all of my constituents. Many New York residents are immigrants, and all of us should do what we can to actively welcome them into our city. I'd like to extend a huge thanks to the hackers and programmers who showed up today to say that they do," said Councilman Ben Kallos, New York City Council, 5th District. The New York Supreme Court ruled in favor of tenants at 90 West Street who sued their landlord after their rents were substantially raised, even though their apartments were stabilized through 421(g). In August 2016, Public Advocate James, along with 37 elected officials, filed an amicus brief in support of the tenants who were forced to pay unfair rent increases by their landlord on their rent stabilized apartments. The judge ruled that the tenants will maintain their rent stabilized status and a referee will be appointed to determine damages. This is the second lawsuit involving 421(g) that tenants have won this month to protect all units of affordable housing that received the 421(g) tax abatement. On July 3, the New York Supreme Court ruled in favor of tenants at 50 Murray Street who also sued their landlord when rents were substantially raised despite being stabilized through 421(g). Upper East Side- NY Compost On–the-Go, is a new program from GrowNYC’s zero waste initiatives funded by the NYC Department of Sanitation. Compost On–the-Go increases access to food waste composting for New Yorkers in the Bronx and Northern Manhattan. Conveniently located near transit, drop-off sites are staffed by friendly compost coordinators ready to accept fruit and vegetable scraps as residents head out to start the day. In support of this environmentally savvy program Council Member Ben Kallos joined a team of GrowNYC volunteers and employees at the 96th Street & Lexington Ave (6 Train) station on Thursday July 20th at 10am. Residents who wish to participate in composting are encouraged to drop off acceptable items every Wednesday from 7:15 am to 10:30am. DSNY will transport collected scraps to a regional facility to be transformed into compost. New York, NY – Noise is the number one complaint in New York City, but to Council Member Ben Kallos and Environmental Chair Costa Constantinides it doesn’t need to be a fact of life in the Big Apple. Kallos and Constantinides introduced legislation in June to be heard in the fall that would require the city to respond to noise complaints for nightlife and construction within two hours or on a subsequent day within an hour of the time of the complaint. The bill aims to increase the likelihood that inspectors will identify the source of the noise, issue a violation, and restore quiet. We write once again on behalf of the 8.5 million residents of New York City to protect and promote the Open Internet and net neutrality. New York City, through its City Council and its Mayor, is committed to universal broadband in order to bridge the digital divide. Yet the divide between those who can access reasonable broadband service and those who cannot will remain unbridgeable unless the Commission uses its mandate to expand access to broadband to protect and promote the Open Internet and net neutrality. There are 6.4 million people in New York State who have yet to adopt broadband, whose access to necessary and useful information and applications must be protected and promoted. Whether you use legal authority deriving from Telecommunications Act of 1996, Section 706 –the mandate to promote broadband deployment – or reclassify broadband under Title II of the Communications Act, the Federal Communications Commission (FCC) must protect the Free and Open Internet. Without net neutrality, cable companies would have the power to censor, block or otherwise discriminate against the digital tools necessary to thrive in the modern world. The hackathon will feature speakers, judges, and mentors from the New York City Council, New York State Office of Temporary & Disability Assistance, FWD.us, Fueled, Major League Hacking, New York Immigration Coalition, CUNY Dreamers and other New York-area organizations. Event sponsors include Impact Hub NYC, The Studio Project, Innovation Collective, “I Am An Immigrant,” Major League Hacking, Civic Hall, and AlleyWatch. This year’s hackathon theme is “I Stand With Immigrants.” Participants will come together to build apps, websites, and other digital products to highlight the immigrant experience and create opportunities for allies to stand in solidarity with New York’s vibrant immigrant community. 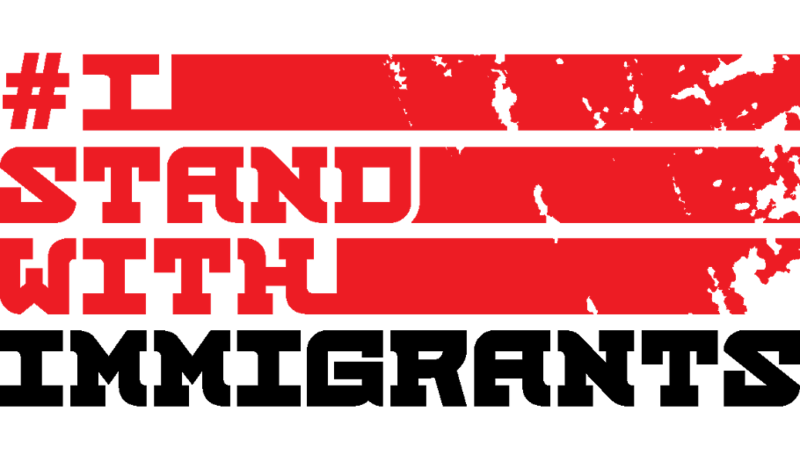 The theme is a continuation of the new Immigrant Heritage Month 2017 campaign from “I Am An Immigrant,” titled “I Stand With Immigrants,” a call for immigrants and allies across the country to celebrate our nation’s shared immigrant heritage. "Housing is right that will now be protected by providing every New Yorker facing eviction with consultation or representation by a lawyer," said Council Member Ben Kallos, vice-chair of the Progressive Caucus that carried the Right to Counsel in their platform. "Thank you to Mayor de Blasio and Department Social Services Commissioner Bank for their commitment to fighting homelessness with a universal access to counsel to keep residents from being evicted, in their homes and off the streets."